Snapchat has released Snapchat Spectacles. 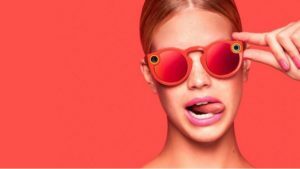 Sunglasses with a built in camera that connects to your smartphone’s Snapchat app to share photos and videos you can take right off these glasses. Personally, I feel there is non other than it being a novelty item or collectors item as these go for insanely high prices online. 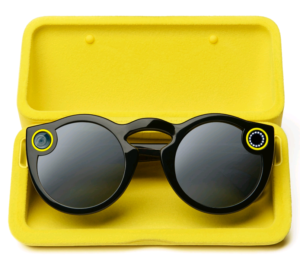 Snapchat Spectacles are available in special vending machines places around cities. Since the machine is moving around, it’s kinda like a limited edition item. Hence it being no surprise these fetch over US$ 1000 online!! Crazy. If you are into this sort of thing, it’s a pretty cool gadget to show off despite its pricey tag. But for most of us, this is nothing more than a waste of money as it can do nothing more if not less than your own smartphone can. 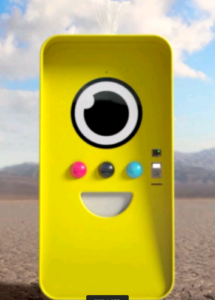 It’s not sure if these are limited to Snapchat only or if they can be used with other apps, perhaps as normal camera/webcam. It would be really cool taking these glasses for a ride during some extreme sports! The video must surely be amazing, and you will look more stylish than a GoPro while doing so.